I saw on 'The hotel inspector' on the TV today that its going Tobermory made into a hotel! It seems that the pub premises has now been sold to a senior backroom guy at one of the leading F1 teams! Here's hoping there is an intention to reopen, rather than de-license. HI, I live im Pimlico and just to update this Pub is currently closed and has been for several months now. There are no signes or information up as to when it will be open again. Still closed and boarded up with no indication as to future use. 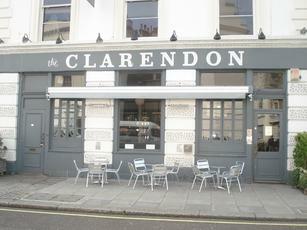 When I lived in Pimlico in the 1990's this pub (in its previous incarnation as Grosvenors) was the best in the area. Sad to see. This once-great pub has now closed, possibly forever. It just goes to show what a copy of 'An Idiots Guide To Refurbishing A Pub' can accomplish. This was, without a doubt, one of the best twenty pubs in London during it's pre-wine bar makeover 'Country Pub' days. Packed every night from teatime onwards.